Comment: We experienced a water leak onto our hallway laminate flooring. Comment: Sisal rug is starting to fray causing a potential "trip" problem. Needs to restitched. Comment: We are moving into a new home and would like the carpet that is in the master bedroom to be tightened back up before the furniture moves in later that week. Comment: The strip between the carpet and tile is broken. We need the carpet and tile to mesh together without a strip if possible so a wheelchair can go over it. Comment: Old, worn-out carpets need replacing. Comment: Kitchen remodel with hardwood floor and replace carpet in living room with hardwood. Southbury Flooring & Carpet Contractors are rated 4.81 out of 5 based on 1,220 reviews of 31 pros. 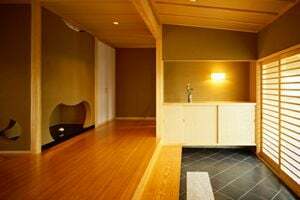 Not Looking for Flooring & Carpet Contractors in Southbury, CT?